Viknesh Vijayenthiran July 22, 2013 Comment Now! Can’t afford a new Mercedes-Benz? 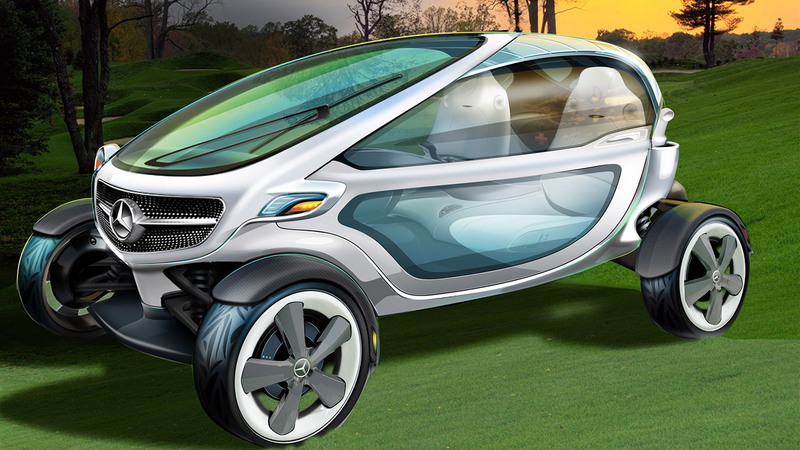 Well how about a Mercedes-Benz golf cart? No, the automaker famous for building some of the world’s most luxurious cars isn’t about to launch a golf cart but it has given us a preview of what such a vehicle could look like if it ever did. 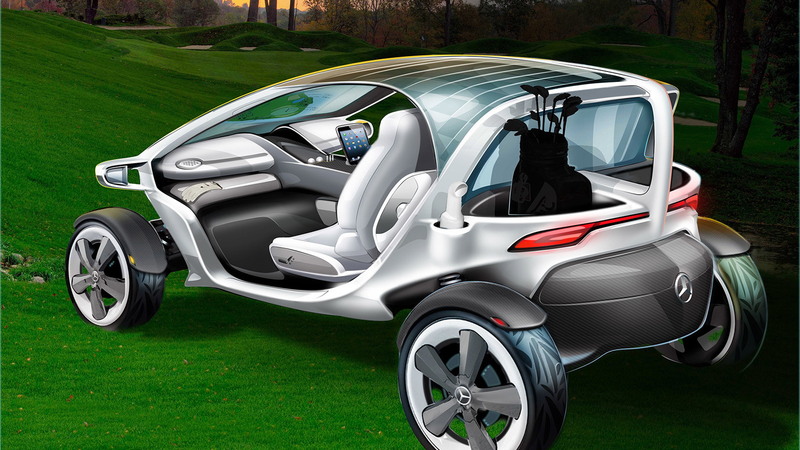 During this year's Open Championship, Mercedes-Benz presented the Vision Golf Cart, which was the result of design ideas submitted by hundreds of golf fans around the globe. 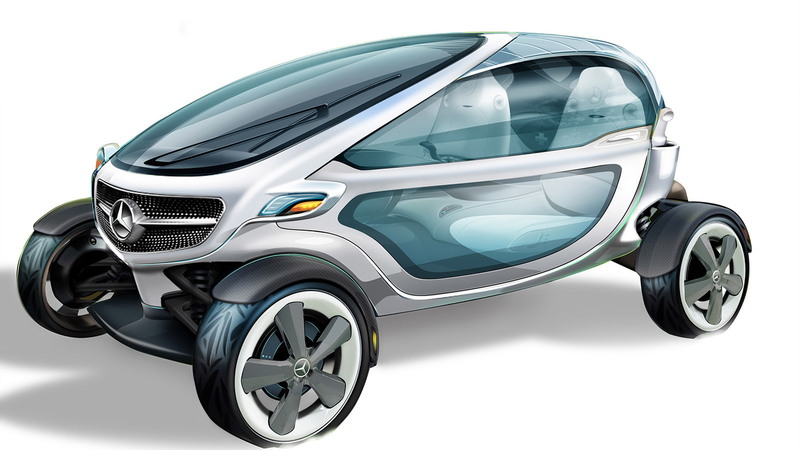 The ideas provided the basis for the concept, which was created by the official Mercedes-Benz design department. 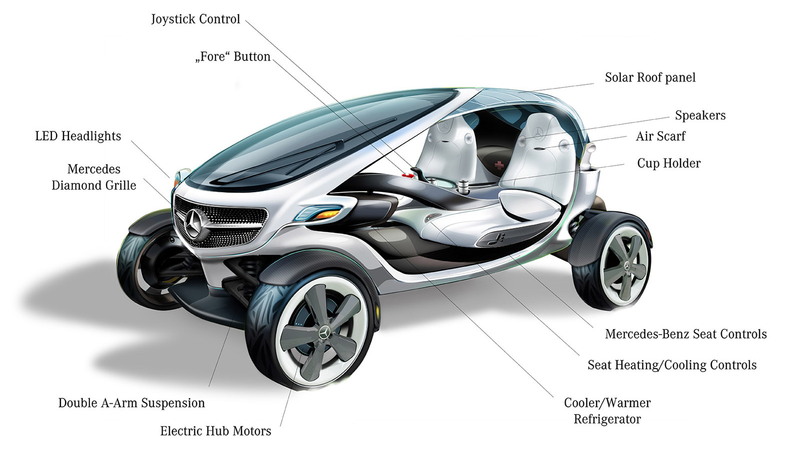 Heading the project was Mercedes-Benz design chief Gorden Wagener, who said the design fits in well with the automaker’s ‘Sensual-Purity’ design philosophy. The vehicle is electrically driven and runs on a battery that is charged via roof-top solar panels. 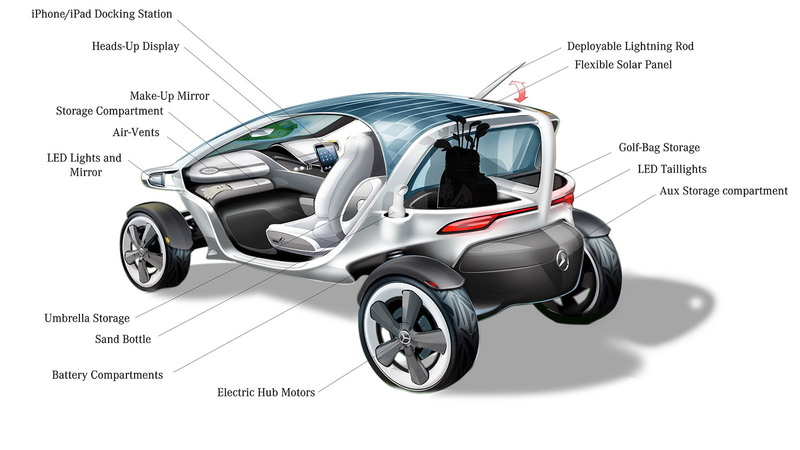 Manual charging, as for a conventional golf cart, is also possible. Inside, there’s plenty of technology. Using touch screen monitors, virtually all aspects of the cart can be controlled without extra buttons. The centre console also incorporates a multimedia panel that includes a rotatable docking station for an iPad or iPhone and a USB interface. A joystick is used to control the vehicle instead of a steering wheel. This design was picked so that the vehicle can be driven by occupants on either side. One other interesting feature is the "fore button," which as its name suggests can be used to quickly warn other players of a misplaced shot. Those golf fans that submitted the winning ideas were awarded VIP invitations to the Open Championship.